Kindergarten graduation. The tie T-shirt is about as dressed up as this kid will get. 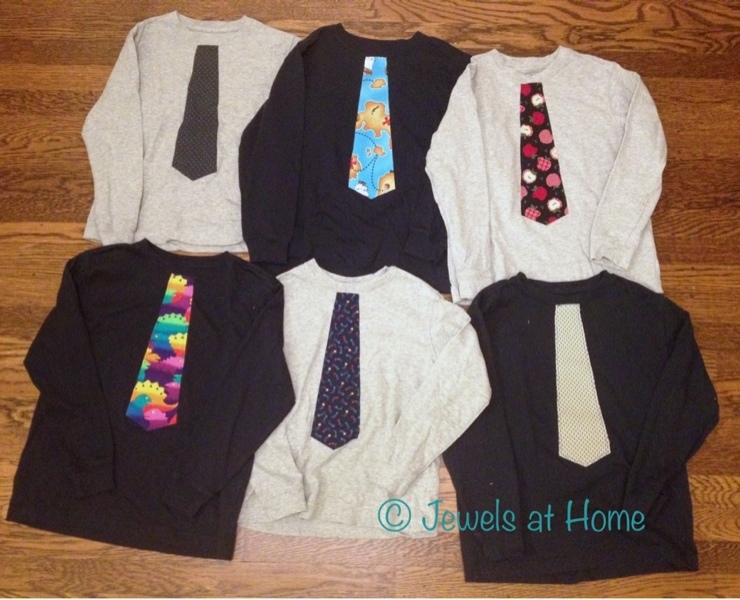 I love these tie “Fat Tie” T-shirts that I bought on Zulily. The boys have worn them for a wedding, too, and they seem to strike the right note of respect and whimsy. After getting lots of comments on them, I decided to make some for our boys and to give as gifts. 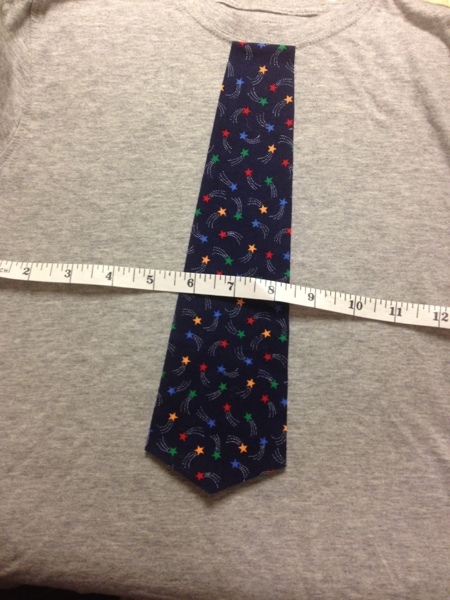 Another cute “Fat Tie” shirt. 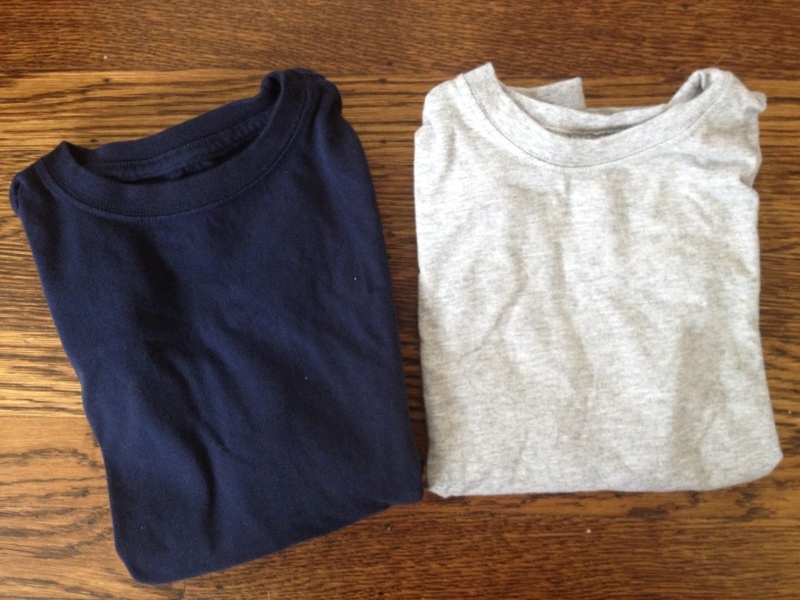 I started with plain long-sleeved T-shirts from Lands’ End. Lands’ End is really hard to beat when you are looking for good quality basics. Their sales are great, and I got these shirts for about $5-$10 each. I prewashed the shirts and the fabric for the ties. Plain long-sleeved T-shirts from Lands’ End. I made a template with a piece of scrap paper, using a bit of trial and error to get the shape I wanted. I cut a piece of fabric a bit larger than the Heat ‘n Bond. 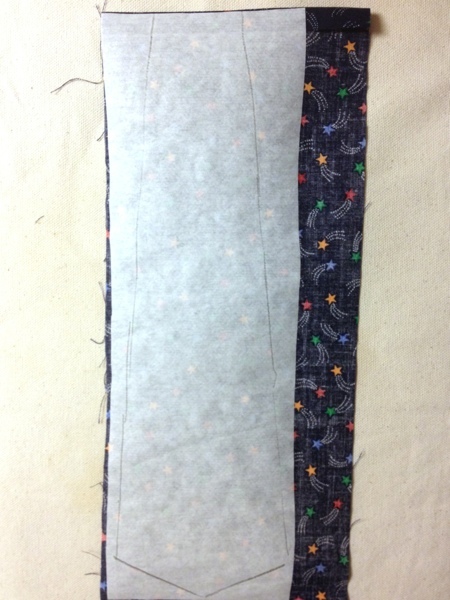 After folding down a finished edge for the top of the tie, I ironed the Heat ‘n Bond onto the back side of the fabric. After it cooled, I cut out the tie. I ironed the “tie” onto the shirt, lining up the top to the collar of the shirt and using a tape measure to make sure it was centered. I’ve seen people describe iron-on projects where they don’t sew down the edges, but it never seems to work for me (the fabric peels off), so I sewed a straight stitch about 1/8″-1/4″ from the edge of the tie. 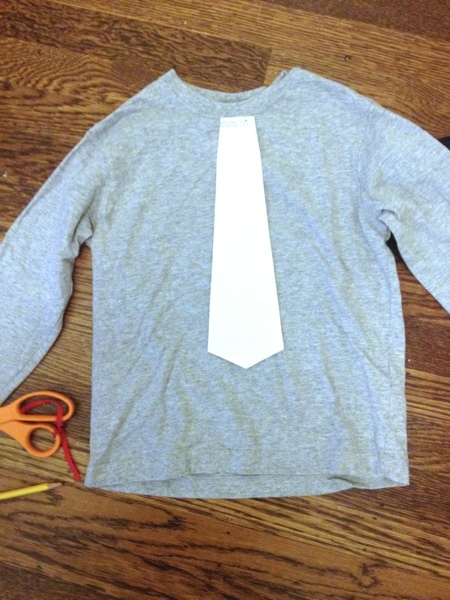 Sew a straight stitch around the edge of the tie. And here are the finished shirts! 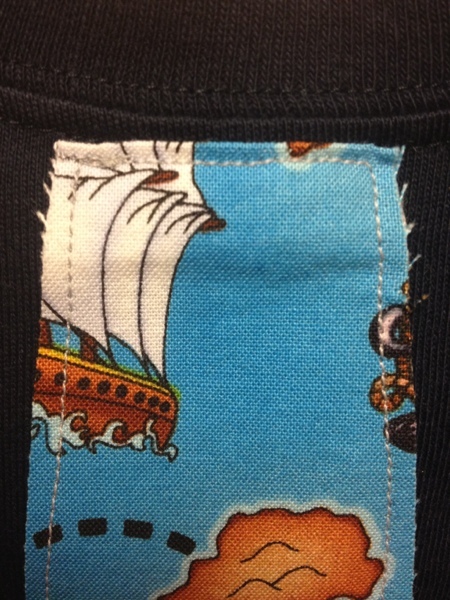 Next time, I think I will try some with a false “knot” at the top, like these shirts by Erin at Lemon Tree Creations. I’d also like to try experimenting with a bow tie! 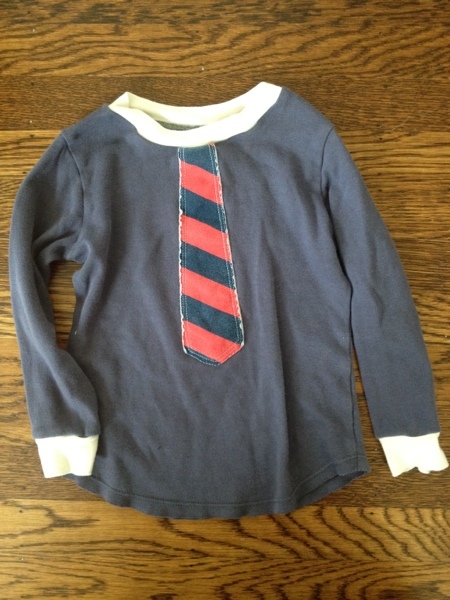 I’ve also made onesies with these appliqued ties, because even babies need to get dressed up sometimes! So many ways to have fun with this idea!